When you think about it for more than thirty seconds, it is pretty obvious that explicitly teaching children how to do something is better than asking them to figure out all or part of it by themselves. This is precisely the approach that we use when safety is at stake such as when we teach kids to swim or cross the road. Indeed, the entire evolution of language and culture blows raspberries at the figuring-it-out-for-yourself hypothesis. The fact that a turn towards explicit teaching has been linked to improvements in reading for children in Western Australia and for children from indigenous backgrounds is hardly surprising. The only puzzling part is why we ever turned away from it in the first place. Unfortunately, in education, we have to constantly push this boulder uphill. At the recent DSF ‘Language, Literacy and Learning’ conference in Perth, I met many like-minded people. It is a rare jewel of an education conference that takes an unashamedly evidence-informed approach. From the delegates, you sense both the relief at being intellectually at home and a sense of frustration that the wider educational currents are pulling in an entirely different direction. We know that schools need to focus on rigorous, structured explicit programmes to teach reading, mathematics and subject knowledge more generally. Unfortunately, they want to waffle vaguely about 21st century skills, mindfulness or whatever the latest fashion happens to be. I found myself in a few discussions about this conundrum – a kind of Dunning-Kruger effect writ large where direction is set by those who apparently posses the smallest amount of relevant knowledge – and I pointed to a key problem. DSF is short for the ‘Dyslexia-SPELD Foundation’ of Western Australia. SPELD, in turn, is short for ‘SPEcific Learning Difficulties’. Despite our ideological adversaries claims to inclusiveness, this allows a certain amount of othering to go on. Explicit teaching may be appropriate for those other kinds of kids with special educational needs, they may concede, but regular, normal kids don’t need it. We see this attitude displayed when a school with an unsystematic approach to early reading grabs for a systematic synthetic phonics programme to use with the students it fails. We also see this in universities where, I understand, the education faculty and the special education faculty often have little to do with each other, with the latter sometimes taking in refugees from the former. In a way, this makes a kind of sense. It was Snow and Juel who, in 2005, pointed out that ‘Explicit teaching of alphabetic decoding skills is helpful for all children, harmful for none, and crucial for some’. Yes, some children will learn to read without explicit teaching, but there is no advantage to this and it probably takes longer and embeds a few misconceptions along the way. However, without explicit teaching, some children will really struggle. The evidence from education research and educational psychology strongly suggests that you could extend Snow and Juel’s statement to include explicit teaching of all academic content. However, the fact that the alternatives to explicit teaching are most harmful to those who have learning difficulties has the corollary that advantaged children who have more resources to draw upon are harmed the least. This may explain why implicit teaching methods are often most celebrated by schools who teach advantaged children. Advantage masks the shortcomings. A university’s education faculty may be able to pursue its obscure sociological agendas because it has cut loose the kids that most clearly demonstrate the inadequacies of its methods. Explicit teaching is not lecturing. It is not a one-way presentation. When I started teaching, I couldn’t make the alternatives work and so I used a form of explicit teaching that I developed for myself from observations and experience. It was not optimal. 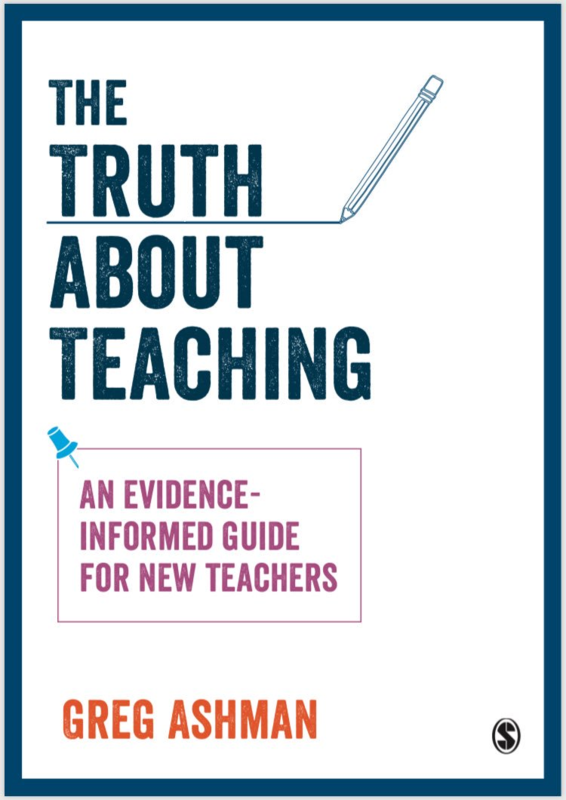 I wish I had known then about what the research actually showed and I am going to do everything I can to make sure that this knowledge is available to future generations of teachers. It was one of the great lightbulb moments of my Dip.Ed. ; while doing the excellent Special Ed unit, by far the most useful course in the entire degree, I suddenly realised that all of the principles that were being presented in that unit – explicit explanations, unambiguous use of language, rigorous checking for understanding, etc. – were applicable in the mainstream, across the curriculum, and not just in Special Ed. It’s not changed Tom. People still impose ideology while congratulating themselves on their openness and diversity. What worries me about explicit teaching and CLT is their narrow definition of schooling – “an increase in long term memory”. “… laboratory studies show that repetition helps learning, but any teacher knows that you can’t take that finding and pop it into a classroom by, for example, having students repeat long-division problems until they’ve mastered the process. I wouldn’t say this is essential to either CLT or an understanding of the much earlier process-product research on explicit teaching. Yes – lots of things can be demotivating. I think it’s particularly demotivating to struggle in a subject and not feel like you’re making any progress. Reading failure provides perhaps the starkest example of this. I don’t think that is explicit teaching or CLT’s definition of schooling. Learning maybe but that can’t be conflated with schooling. I think repetition’s diminishing returns can be explained by other concepts in the space such as spaced practice and interleaving, an understanding of attention and appropriate challenge in tasks that forces thinking. Could repetition, or any CLT or explicit instruction idea, be overdone? of course (and I have heard Greg talk with Craig Barton about the benefit of variety and achieving some buy in from students from fun tasks or investigations) but I have not seen any evidence that these concepts are remotely overdone compared to the constant extreme messaging the other way. The key to the repetition and motivation problem is breaking down the learning into small steps with mastery of each step providing success. In the long division example we can achieve success along the way to full mastery. If mastery of long division is a marathon, a small step is success at 5 km. In that way we can build motivation into the process rather than just the final result. Practical question. My kid is one of those “in fashion” schools, and changing a school is not an option, unfortunately. Is there much I can do as a parent to bring more structured/explicit learning into his or school’s process? The journal articles actually didn’t help our kid at all, and might have just pissed off the school. But a few years later, they dropped the practice. What did help was sitting him down at the dining room table on his 5th birthday and making our way through Hooked On Phonics to make sure he would stay on track. When he was finally promoted to a combined K-1 classroom, they couldn’t deny he was at 1st grade level. I teach adults to read. Teaching literacy to 50 year olds is the most challenging thing you can do. Explicit teaching, repetition and complete mastery of one level before moving on to the next is the only way that works. “Discovery Learning” is useless – just some sort of liberal dogma. One higher-level argument against discovery learning is this: to discover the rules of spelling, mathematics, physics, chemistry, etc., one would have to be a Daniel Webster, Isaac Newton, Albert Einstein, and Dmitri Mendeleev, etc., all rolled into one. As Newton said: if I have seen further, it is by standing on the shoulders of giants. Modern pedagogy takes the giants away and leaves everyone standing on the ground. It assumes everyone is brilliant and can recreate the greatest discoveries of history’s geniuses.